Investing in real estate is a serious decision, and not a simple process. 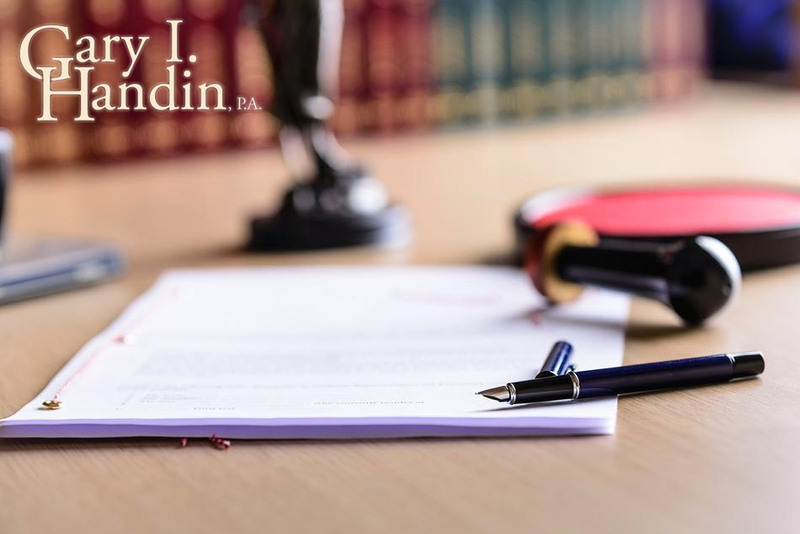 At Gary I. Handin, PA., we will go above and beyond to ensure that your real estate transactions are properly and smoothly executed and that you have all the legal assistance and protection you need, whatever the circumstance. If you’re looking for attention to detail, professionalism, and excellent client service, look no further – we are waiting to assist you. At the offices of Gary I. Handin, P.A. we have years of experience in purchaser and seller representation. Whether you’re purchasing or selling real estate, our attorney and experienced staff will guide you through the transaction, ensure that any major risks are mitigated, and provide you with exceptional representation so that you are able to close your real estate transaction on terms most favorable to you. Our services include contract drafting and review, explaining documents to you, negotiating terms on your behalf, reviewing the chain of title, evaluating your title commitment and any potential defects in title, and preparing and reviewing documents for closing. Gary I. Handin is the proud owner and president of the Florida Home Title Company. The Florida Home Title Company is one of the most well-established home title companies in the area, and has been serving the homeowners of South Florida since 1993. Our experienced staff at Florida Home Title Company will walk you through each step of your real estate transaction, conducting title searches, handling all due diligence, preparing documents for closing, and attending closing. While the Florida Home Title Company does not offer legal representation, its relationship with Gary I. Handin, PA., means that any legal issue can be handed over to a real estate attorney for proper representation and assistance with ease. Gary I. Handin, PA. is a member of the Attorney’s Title Insurance Fund. The Fund provides protection to real estate attorneys, thus minimizing not only risk to our law firm, but risk to you as a client. This is yet another benefit of choosing the offices of Gary I. Handin, PA., to provide you with real estate attorney services. If you plan to refinance your home or are considering entering into a reverse mortgage agreement, we strongly encourage you to consult a real estate attorney for legal assistance. Signing a mortgage or deciding to refinance your home will have implications for years to come, so you want to be sure that you have the best legal guidance to assist you through the process. Navigating complex lender documents can be a difficult task, and it is vital that you understand all the terms and conditions of the arrangement. At Gary I. Handin, PA., we will act as a liaison between you and your lender, review the Note and Mortgage documents, alert you to all of the terms of any required loan agreements, and do our best to ensure that closing takes place on terms most favorable to you. We will also alert you to the legal consequences of reverse mortgages and their repayment terms for heirs and family members, so that you can make an informed decision as to whether a reverse mortgage is something which will benefit you. 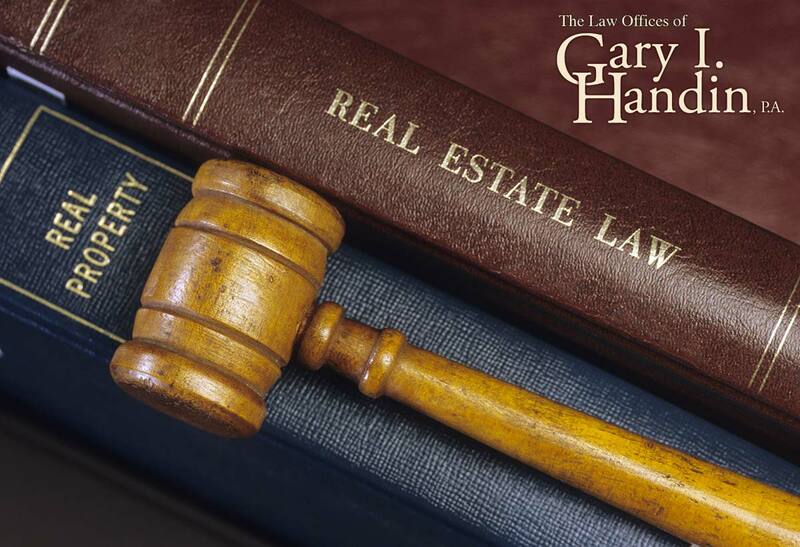 If you are entering into a lease agreement, consider consulting the real estate attorney at Gary I. Handin, P.A. Whether you are a prospective tenant or landlord, you need to ensure that the lease agreement which you sign is one which adequately protects your rights in all circumstances. The legal consequences of damage to property, violations of the rules of occupation by the tenant, failure to pay rent, failure on the part of the landlord to maintain or repair the property, and disturbances to peaceful occupation, among other issues, should all be covered for by a clear and precise lease agreement. We are known for our diligence and excellent client representation, and will help you to negotiate a lease agreement best tailored to your particular needs. Gary I. Handin, PA.. offers comprehensive title insurance for homeowners and property investors. While real estate attorneys will spend hours and hours conducting title searches and risk evaluations, it is near impossible to ensure that every possible hidden title hazard is uncovered. Unfortunately, even after closing, issues with title can arise. Documents which have been forged or improperly executed, existing defects in titles, outstanding liens, and other transaction errors could all impact your security of title. We provide both lender protection and owner’s coverage. Lender or mortgagee protection is a form of title insurance which will protect you if a claim is made against your property, securing your defense or reimbursing you if the claim is proven valid. Owner’s coverage is a form of insurance which covers the ownership of the property in favor of the current owner, for as long as they own the property. At Gary I. Handin, PA., all our title insurance is underwritten by Old Republice Title Insurance Company through Attorney’s Title Insurance Fund, a globally established title insurance company. This means you get the best possible coverage, giving you peace of mind with every real estate transaction you undertake. Whatever real estate attorney services you require, Gary I. Handin, P.A. has a proven track record of more than 45 years of providing outstanding legal representation and support to a wide range of clients in a number of real estate practice areas. Our diligent, highly qualified and compassionate staff will cater to your every real estate need, making the transaction as stress-free as possible for you. We strongly believe that hiring an attorney is an important decision which should not be made on the basis of an advertisement alone. Give us a call today or visit our offices for a consultation, and find out why we are the firm for you.